This year I’ve had the opportunity to stay at three of KiwiCollection.com’s luxurious properties: Ashford Castle, The Merrion, and the Hotel Cipriani. Now you have a chance to do the same. KiwiCollection.com is sponsoring my prize for Passports with Purpose: a two-night stay at the Shangri-La Hotel in Vancouver, B.C. 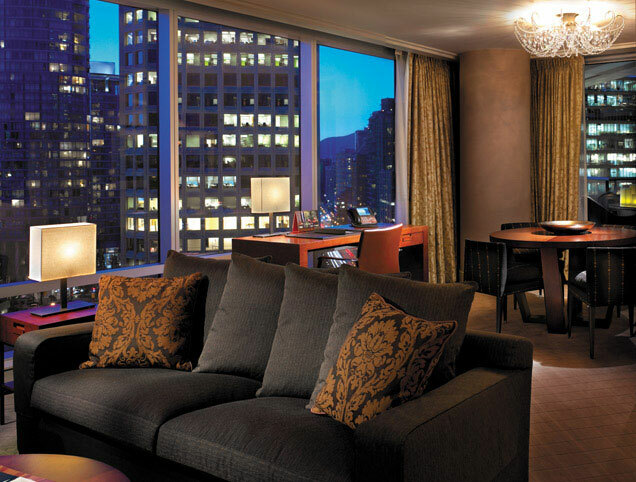 Named for James Hilton’s fictional paradise, the Shangri-La Hotel strives to bring paradise to Vancouver with a distinctly Asian flavor. From your elegantly appointed room, you’ll be bathed in light by the floor-to-ceiling windows looking out on Vancouver’s streets and toward the mountains. 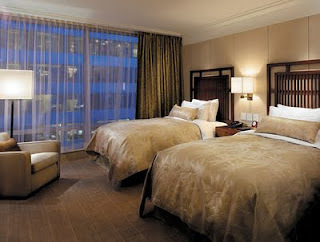 And all of the luxuries of this five-star hotel are at your command. 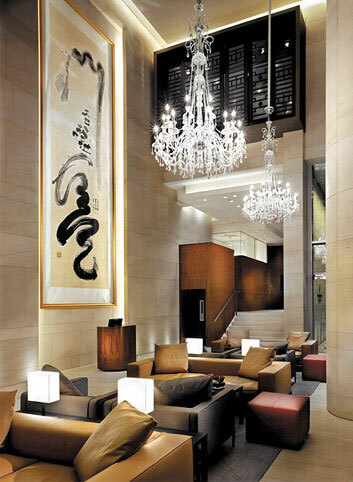 Dine at Market by Jean-Georges, the hotel’s fine-dining restaurant which has won rave reviews. Relax at CHI, the spa at Shangri-La, where the staff will pamper you in soothing elegance. 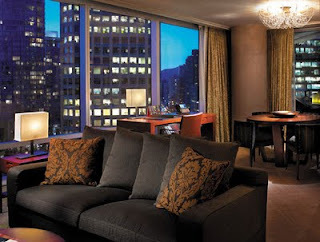 A two-night stay for two at Vancouver's most luxurious hotel, the Shangri-La Hotel courtesy of The Gypsy’s Guide and KiwiCollection.com. Visit the Passports with Purpose prize site. Pick a prize. Make a donation. Then spread the word! Email this link to your friends. Tweet about it. Post about it on Facebook (and join our Facebook group). Blog about it. Oh, and you can talk about it, too! For more info, read my blog post about Passports with Purpose. The full rules are available here. All proceeds go directly to American Assistance for Cambodia (AAfC), a registered non-profit organization. The fundraiser begins November 30, 2009 and ends December 21, 2009. Winners will be notified by email on January 5, 2010. All proceeds go directly to American Assistance for Cambodia (AAfC), a registered non-profit organization. Read more about Passports with Purpose here. And I’m happy to answer any questions you may have, too. Leave a comment or email me: aknickerson (at) mac (dot) com. Many, many thanks to KiwiCollection.com for donating this fantastic prize! They represent the world’s most luxurious hotels and are worthy of a look. All images courtesy of the Shangri-La Hotel. It sounds magical - I've entered to win this. Wish me luck!